In 2009 Haig Armen’s firm, Lift Studios was chosen to design and build a media-rich community website for the Vancouver Olympic Committee and aboriginal sports community. The website celebrates the accomplishments of Canadian aboriginal athletes, and provides a social network for aspiring young athletes to communicate with professionals in sports. 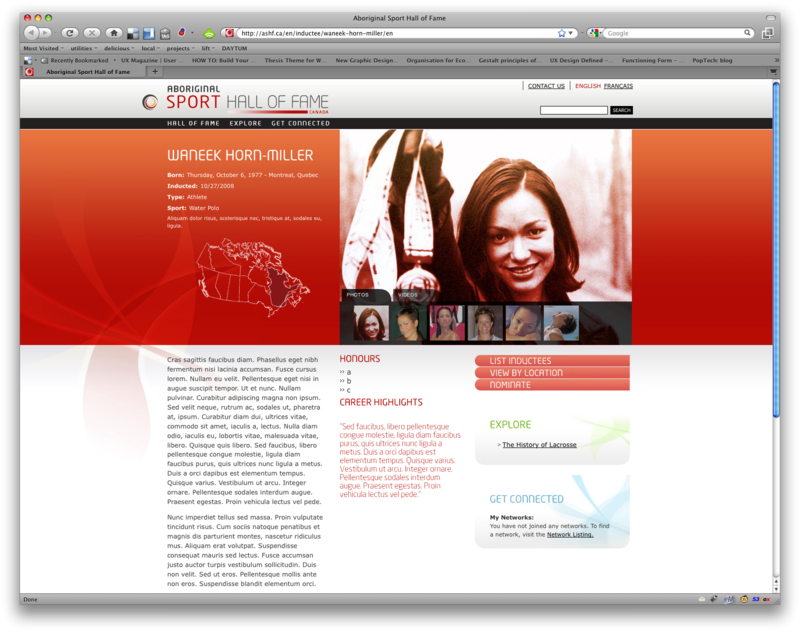 The Aboriginal Sports Hall of Fame website was viewable during the Vancouver 2010 Olympics.